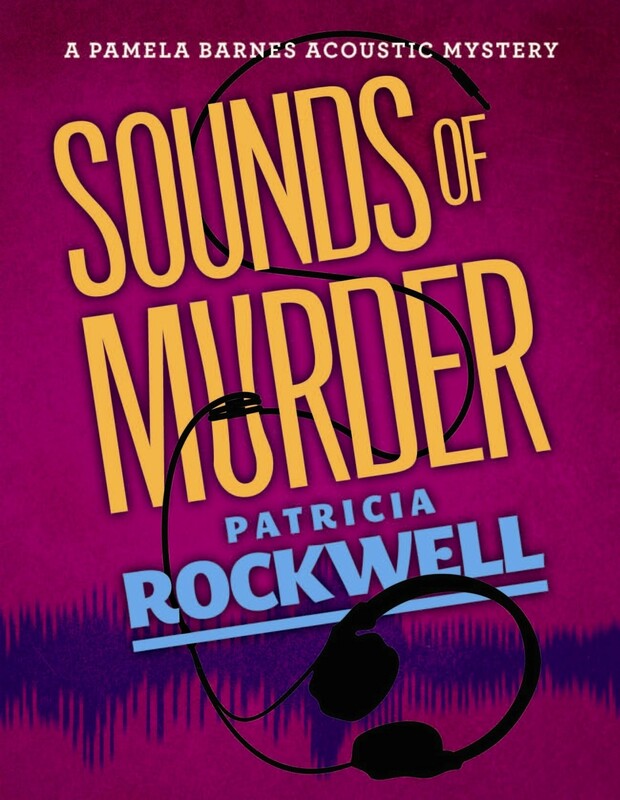 I came upon the cozy mysteries of Patricia Rockwell by a happy chance on Twitter, and was intrigued by them for various reasons. I am grateful to her for agreeing to be interviewed, and I hope to find out how she herself views her novels, how she categorizes them, what reading public she reaches and hopes to reach with them. DJ. You are a life-long academic, turned mystery-writer: I wonder what gave you the idea of writing murder mysteries when you gave up teaching. Were there other kinds of novels that you thought of writing? Why mysteries? PR. I always have read and enjoyed mysteries. Apparently, I read and enjoyed mostly cozy mysteries, but I didn’t realize this until after I actually wrote one and a publisher informed me that that was the type of book I had created. Throughout my academic career, I did a lot of writing–but it was dry, academic writing. When I took a break from this, my first choice was always to read mysteries. I never really cared much for long, epic historical novels or romances–although I’ve read my share of those. I can’t imagine writing any other than a mystery because I really like creating the puzzle that is contained in every mystery. That’s the first thing I figure out long before I ever start my actual writing–just what is the puzzle, that is, what makes this crime (usually a murder) not just an obvious one where the culprit is arrested and sent to jail, but one which baffles the police and the amateur sleuth (along with the reader) has to figure it all out. DJ. I find your use of acoustic technology a most original and effective aspect of your plots. Your character, Professor Pamela Barnes, teaches acoustic technology in the Psychology Department of a small university. You were yourself in Communications. Did you also teach acoustics? When did you begin thinking of it as an aid to crime detection? PR. Actually, Pamela teaches courses on language and vocal behavior (which I did) and she uses acoustic software to analyze her data (which I did). Professors that actually teach students the subject of acoustics are usually housed in Physics departments. I realized early in my reading of cozy mysteries, that most cozy heroines had a specialized career or hobby that afforded them a particular insight into crime that they would not have had otherwise. 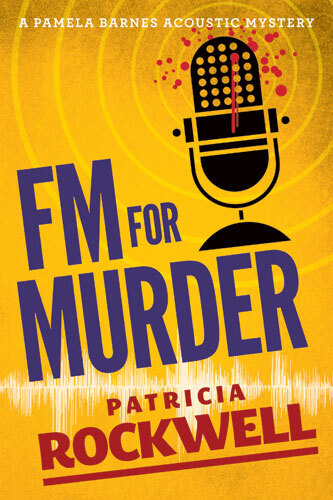 I believe Pamela’s keenly attuned ear (she loves sound as she mentions at the end of FMFM) makes her observe (or rather hear) clues that other investigators might ignore. DJ. Were there other areas of your academic expertise that you have since used in your novels? I note , for example, that you have done research on such topics as sarcasm and deception; these might seem to be good sources of inspiration for a mystery writer. PR. I have one of my secondary characters (Willard Swinton) do some deception research that he brings into some of their investigations. I can see where deception research will probably be more worthwhile in crime detection than sarcasm research. Even so, if any readers can think of a way to include sarcasm research in a cozy mystery–please let me know, because I know more about sarcasm and how it’s produced than is probably healthy. DJ. You come from an academic background and many of your characters are, very convincingly, university types. But you choose to place yourself firmly in a mystery-writing tradition that is not notably intellectual, namely, the “cozy mystery” tradition. 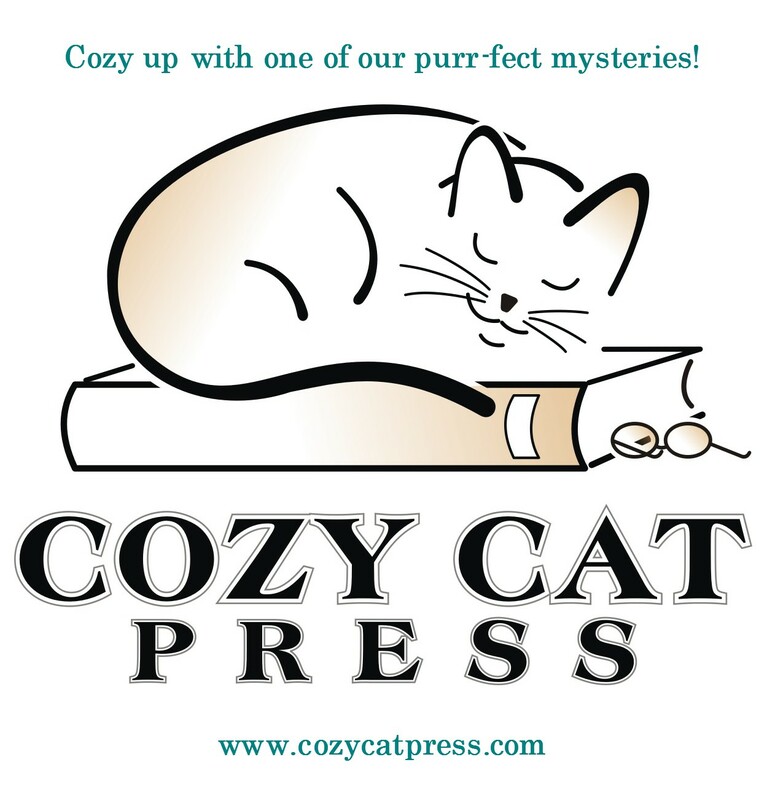 Your publishing company is even called CozyCatPress. Could you perhaps define what the term “cozy mystery” means for you? PR. I have to laugh at this question, because after a life of interacting with “university types” I can tell you they make wonderful fodder to populate cozy mysteries. Every stereotype–and then some! You are right, cozy mysteries are not “high literature” but I’m retired now and I intend to have fun and cozy mysteries are fun! DJ. One of your cover blurbs on SoundsofMurder describes the novel as a “fun mystery,” and I would agree. I read it quickly, turning the pages rapidly, and enjoying the detection process and the easy interplay among the characters. Do you have any problems with the idea of murder being a source of fun? The actual murder in this first novel is a quite horrible one in its way, and there are some moments of fear and suspense when our sleuth, Professor Barnes, returns from time to time to the scene of the crime, but on the whole the horror of the murder does recede from the mind as one follows the twists and turns of the plot. What do you think about this? PR. I’m so glad you responded this way because that’s exactly the way I want readers to react. That’s why the murder happens (as they say) “off-stage” in “Sounds of Murder.” You don’t actually experience the murder take place. You just see the body afterwards through Pamela’s eyes. And yes, I try to add lots of fun and humor. I try to flesh out the characters and make them real and likeable–or at least believable. Now, it’s a bit different in my second book, FMForMurder, because you not only experience the murder take place, but–well, I’d better not tell you that. However, the person who is killed is not a main, nor even a secondary character in this book or the previous one, so I really don’t think readers will be too upset (although I got a fan letter recently berating me for killing him off). DJ. The “cozy mystery” field is, I would suggest, a rather crowded field these days, particularly since the growth of easy and cheap self-publication through e-books. I suspect that for you, as for me, writing the novel is more fun than trying to sell it. How do you find the process of promoting your books? Merely tedious? In a way embarrassing, i.e. the “selling of oneself?” Or challenging? Forcing you to master new skills, and if so, what are they? PR. Promoting your books is challenging and often tedious. I would rather be writing than selling, but on the other hand, when your book is doing well, it’s very gratifying. I do find that my books (and many other books) have found new life on the Kindle. My sales there have risen dramatically, whereas, sales of print copies are very slow. I find it especially difficult to get my books in local bookstores, although that is slowly starting to change. The new skills I’ve learned I would say involve using social media such as Facebook, Twitter, etc. These avenues are free and open many new avenues for independent publishers and authors. DJ. Who, in your experience, actually reads “cozy mysteries?” A lot of people, obviously, and one is told that many of them are women. You have already written and published two. Whom do you reach with these novels? When you write, do you have an audience in mind? For whom, in your heart of hearts, do you actually hope you are writing? PR. There is a fairly good-sized audience for cozy mysteries–typically middle-aged to older women mostly, although some younger women too. I find very few men read these types of books–or if they do they don’t admit it. However, more than the gender/age breakdown, what I find truly interesting is the breakdown that I see between people who only read cozies in print and those who only read ebook cozies. Sometimes I go to book signings with a stack of paperback copies of my books. The ladies (sometimes a gentleman) buy the paperbacks after careful consideration. It’s a major purchase. This group is often totally oblivious to ebooks. Readers who buy ebooks often have totally given up on paper books, and are snapping up as many ebooks as they can at the cheapest possible prices in an attempt to fill their Kindles with reading material. DJ. Are you already engaged on a new writing project? Is there anything you would like to tell us about this? PR. My third Pamela Barnes acoustic mystery will be out in a few months. 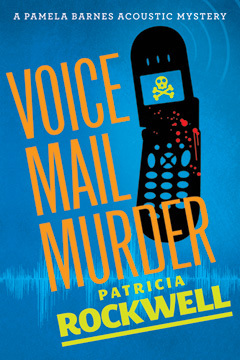 It is entitled “Voice Mail Murder.” In it, a philandering football coach is found stabbed to death in a hotel room. His cell phone is found next to the body and on it are voice mail messages from three unidentified women–evidently the man’s mistresses. The police believe that one of the three women is the killer but they are unable to determine who they are. They ask Pamela to listen to the voices on the cell phone in an attempt to help them solve the murder. Also, I’m starting a new series, more of a humorous cozy mystery series. It’s the “Essie Cobb, senior sleuth mysteries” series. The first one is “Bingoed” and concerns an elderly gentleman who falls into a coma after winning a game of bingo at an assisted living facility. Essie Cobb, a ninety-year-old resident of the facility and her pals smell something amiss with the man’s sudden collapse and they decide to investigate. I’m almost done with my fourth Pamela Barnes mystery. This one is called “Stump Speech Murder” and it’s all about a young politician who is accused of killing his wife. The police are called to the couple’s house when she phones 911 and reports her husband is trying to break in after they have a fight. When officers arrive, they find the husband kneeling over his wife’s dead body, the murder weapon–a bloody candlestick–lying on the floor. It certainly looks like this politician won’t win the forth-coming election and will probably spend the rest of his life in jail. Not unless, Pamela can ferret out what really happened. DJ. Thanks very much, Patricia! Looking forward to the new novels as they come out. This entry was posted in cozy mystery, mystery, review and tagged Patricia Rockwell. Bookmark the permalink. Again, Dorothy, many thanks for interviewing me! It was so much fun! Just bought both books on Kindle thanks to this interview and Dorothy’s lovely review. Why not? At a buck a piece, they’re sure to be a bargain. 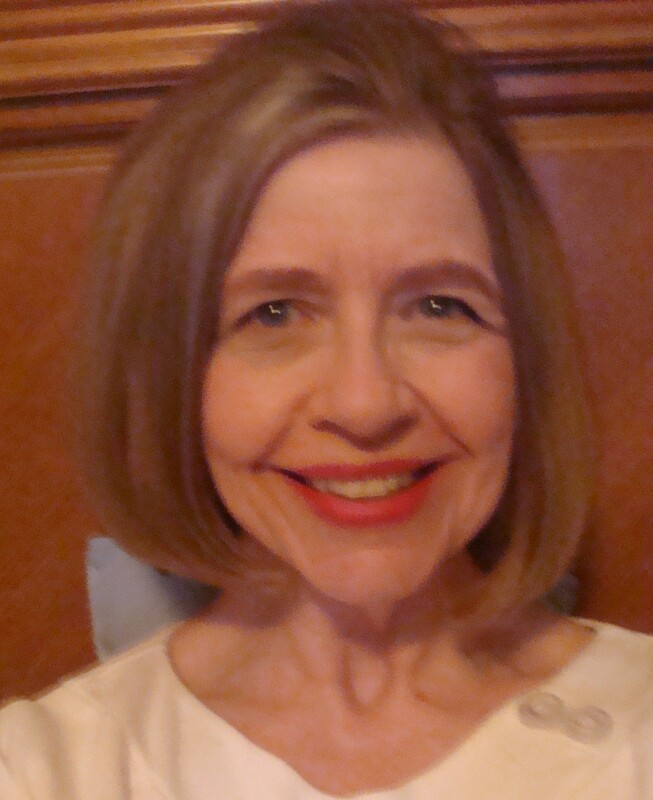 ;o) Patricia, I agree wholeheartedly with your approach to eBooks and selling at low prices. One of my books was up for free for a few weeks and hit the #1 spot on Amazon’s Kindle list for days. Thanks for this comment, Aaron. The whole question of selling ebooks at a low price is pretty fascinating, especially to those of us who have no idea how to do. I hope you will soon come back to the blog and talk about it — and about your own novels. We must schedule an interview soon.